Thanks for point­ing out this bug– I was won­der­ing why the copy I had down­loaded from Google Fonts got so gar­bled when I used it in Illus­tra­tor. Glad to know it wasn’t just me, at least! The good folks at Adobe have iden­ti­fied the prob­lem, and Werner, the author of the ttfau­to­hint library, will be work­ing on a fix. 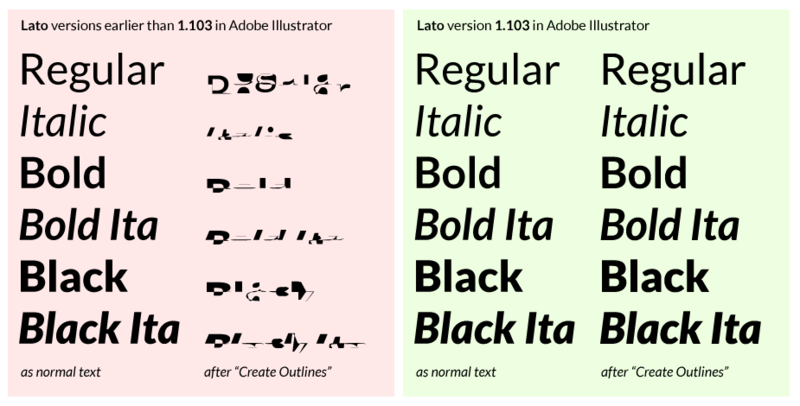 Once this is avail­able, we’ll release another ver­sion of Lato which works the same way on Google Web Fonts and in Adobe apps. 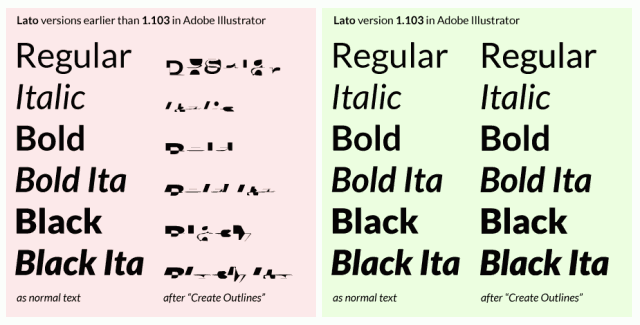 Lato fam­ily ver­sion 1.104 which resolves the prob­lems finally is now avail­able in the Down­load section!